With last weeks launch of the PS4 selling more than a million in the first 24 hours as well as the launch of the Xbox One this week we are being ushered into the next generation of consoles with a bang! Having pre-ordered an Xbox One months ago I am ready to make the transition. Ready to carry over my gamerscore to the new platform! 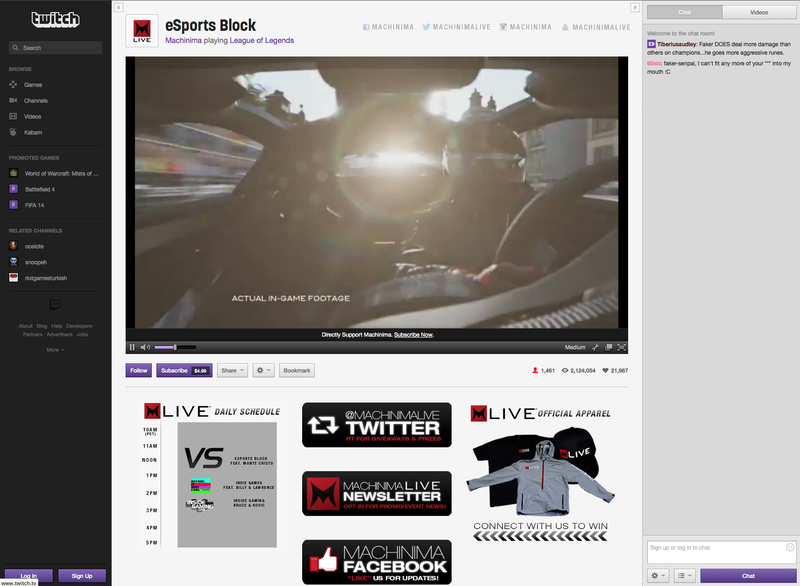 One consistent element across both consoles is the integration of Twitch.TV into the experience. 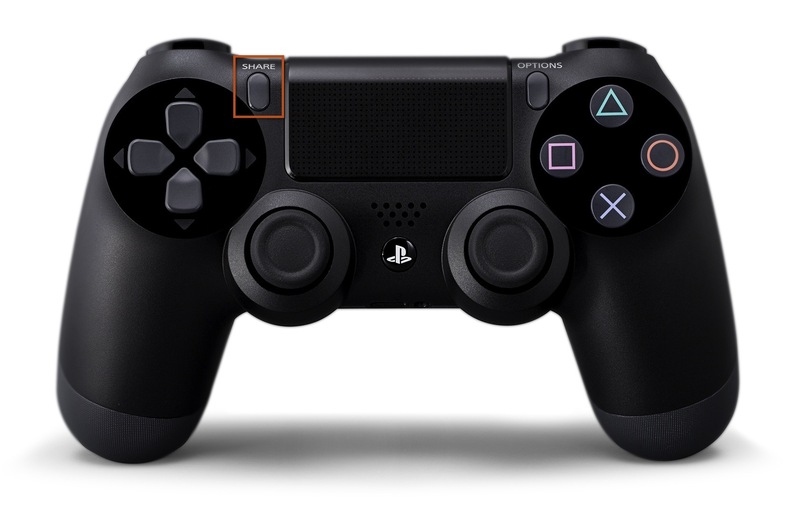 For the PS4 it is directly tied to the share button on the controller. What is Twitch.TV? Why does the average user spend 90 minutes on the site daily? And why as a brand would I care about extending my reach to this audience? 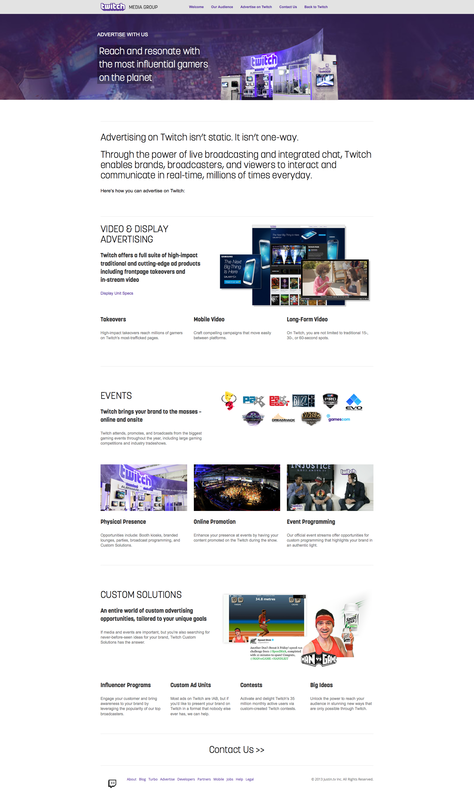 I was recently briefed by the Twitch.TV team and here is a brief overview before getting into how to leverage their community. 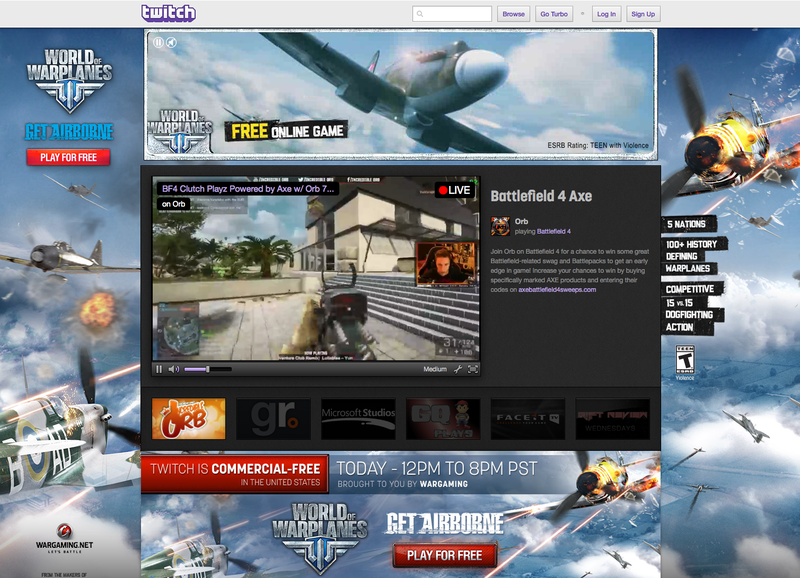 Twitch.TV is a live video platform and community for gamers with more than 44 million unique viewers per month. Twitch.TV connects gamers globally by allowing them to broadcast, watch, and chat from everywhere they play. In addition to 44 million unique viewers per month, the Twitch.TV community is highly engaged with the average user watching an hour and a half of live stream content per day. 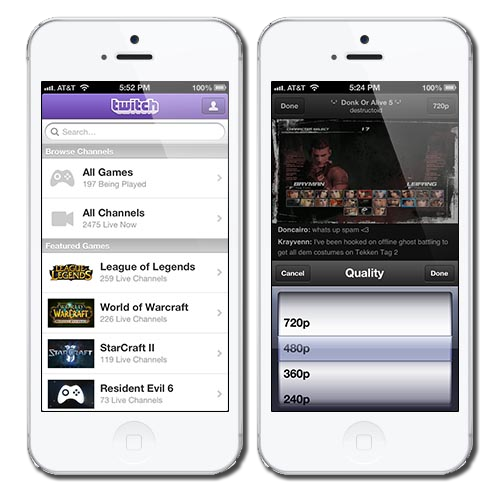 Twitch is available as a mobile app that supports both iOS & Android and as I mentioned above will be integrated into both of the next generation consoles. For brands interested in publishing, Twitch has a partner program with over 4,000 members and is build on an ad revenue share model with top content producers such as Machinima, Electronic Arts, Mojang, Major League Gaming. For brands interested in reaching this audience there are three primary ways to engage & activate the Twitch.TV community. 1) Publishing – The Twitch.TV platform is predicated on live streaming content and the option exists to create a branded Twitch channel. This option represents the largest barrier of entry as the best practices for a channel call for unique & relevant content in addition to a broadcast programming guide and would require resources and time to build an audience, create compelling content & invest in media to further drive discovery of the content. Note that this is a Live Streaming platform so content curation is not an option. 2) Advertising – Twitch offers multiple advertising opportunities in the form of traditional video (pre-roll) and display, event based advertising. custom event programming. This is the more traditional method of reaching the Twitch.TV community. When I spoke recently with the Twitch team there is a strong desire to create unique & compelling programs that can drive value for for brands beyond simply advertising. 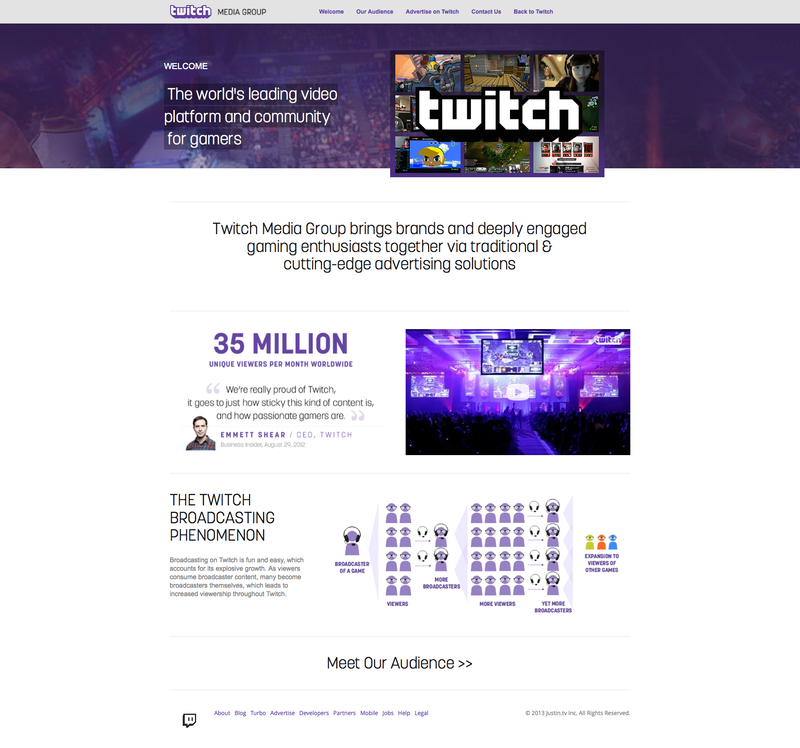 3) Custom Programs – The Twitch.TV team is very motivated to partner with brands to create unique and compelling programs. This can come in the form of “never been done” types of executions that incorporate both online & offline elements. With 44 million uniques and a 90 minute dwell time there is definite value to Twitch.TV as a media platform and the ability to create custom programs in partnership with Twitch.TV opens up unique possibilities to connect beyond traditional ad types. Be sure to keep an eye on the monthly uniques as I am projecting growth with the direct integration with the next gen consoles. Responsible for talking directly to your customers online, Community Managers are at the epicenter of your social strategy. We sat down with two Fanscape staffers, James Cobo and Charles Ryan, to talk about community management; guiding principles, challenges and evaluating a successful community. Fanscape: How would you define Community Management? James Cobo: Community management can take many forms – social property management, managing a profile on a high-value message board, etc. – but ultimately it all comes down to acting as a liaison between a client and the social sphere they’re looking to reach. Charles Ryan: I would define community management as the being the voice/mediator/ultimate champion of the brand and its fans all rolled into one. Not only does one have a role in developing the fan base and meeting a company’s goals of fan count, participation, and exposure; but to also foster a community that is excited to be there and organically grow. Fanscape: What are your guiding principles in great community management? JC: Always try to side with the community; while client advocacy is obviously the “job” part of community management, the only way to reach people in the social space is to come from the same point of view as them, and with very few exceptions they’re always going to put their own interests ahead of the client’s. In that same vein, always try to contribute to the community when communicating with them; do your best to add to the dialogue rather than simply dropping in the client’s messaging and moving on to the next one. Fanscape: With regard to Community Management, what are some of the things that you do on behalf of our clients? JC: The primary job duties associated with community management include researching & evaluating communities to identify which ones are most relevant to the client’s goals, then establishing & maintaining a presence on those communities. Fanscape: What are some of the biggest challenges community managers face? JC: The primary practical challenge community managers face on a daily basis is easily having to conform to the predefined standards of the community you’re reaching out to. Some communities are aggressively moderated and will edit or delete a post with even the slightest hint of messaging regardless of relevance. Others have stringent rules governing access to board functionality such as quoting other users, hyperlinking, and even permission to post in the first place. Can you reference other companies and brands that do a great job with community management (based on your principals of great community management)? JC: At Sony PlayStation they not only seek out ways to engage the community they’ve fostered around their brand on multiple platforms (their Facebook page, their regular blog updates, their Twitter handle, etc. ), but they even introduce new ways to take advantage of the type of communication they see from their audience. Playstation.blog.share, for instance, is an initiative they started to give the PlayStation community a venue to suggest new software features and influence the future direction of the brand. Since launching the site in June, the community has already suggested nearly 5000 new ideas and seen nearly1.5 million interactions to date. CR: I love what we are doing with GameStop and that has a lot to do with our team and James who serves as the Community Manager. There are a few others that I really like, mainly because of their content and the fact that they have found and embrace their niche community – Skittles and YouTube. James Cobo is Fanscape’s Manager of Social Media Marketing and Charles Ryan is a Community Manager.